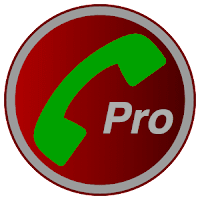 Automatic Call Recorder Pro Record any phone call you want and choose which calls you want to save. 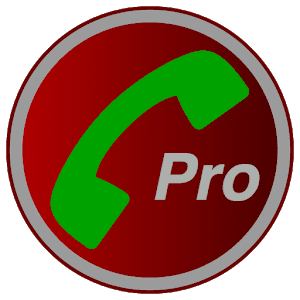 In Pro version Of Automatic Call Recorder You can set calls from particular contacts to be automatically saved, and they will be saved in the cloud. You can set which calls are recorded and which are ignored. Listen to the recording, add notes and share it. Backup with Google Drive and Dropbox allows calls to be saved and synchronized to the cloud as well. If you encounter any recording issues or wish to improve voice quality, try recording from a different audio source, or use auto-on speaker mode. Recorded calls are stored in the Inbox. You can change the destination recordings folder to an external SD card as well. You can set the size of the inbox. The number of saved calls is limited only by your device memory. If you decide that a conversation is important, save it and it will be stored in the Saved Calls folder. If not, old recordings will automatically be deleted when new calls fill up the inbox. 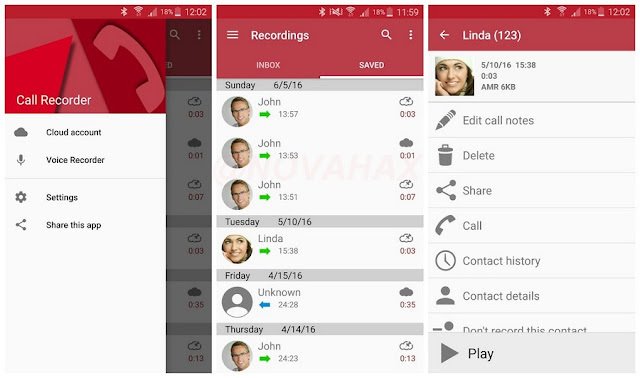 Automatic Call Recorder Recorded calls are stored in the Inbox. You can set the size of the inbox. The number of saved calls is limited only by your device memory. If you decide that a conversation is important, save it and it will be stored in the Saved Calls folder. If not, old recordings will automatically be deleted when new calls fill up the inbox.